Simply put, the Lexus ES excels at coddling. It’s one of the most comfortable luxury sedans around, and it delivers top-grade trimmings and available features at prices that significantly undercut its rivals. Handling isn’t as crisp or agile as most class competitors, and some drivers find the Remote Touch infotainment interface to be finicky. In both fuel efficiency and sticker price, the ES 300h is the most economical hybrid of the few available in the premium midsize-car class. 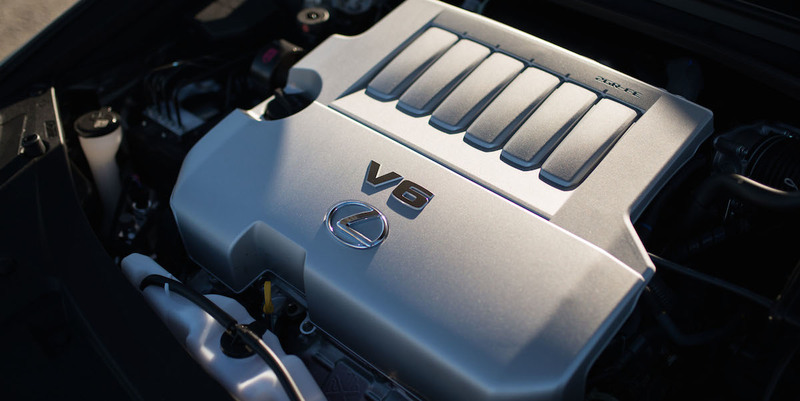 The ES is Lexus’s “mainstream” midsize sedan, and it comes in two flavors: The ES 350 is powered by a 268-horsepower 3.5-liter V6 connected to a 6-speed automatic transmission. The ES 300h hybrid has a 2.5-liter 4-cylinder/electric powertrain that makes a total of 200 horsepower and comes exclusively with a continuously variable transmission (CVT). Lexus also offers the GS in the premium midsize-sedan segment, but it’s a bit larger overall and more performance-oriented than the ES. The ES’s available equipment includes a panoramic sunroof, power-operated trunk lid, heated and ventilated front seats, a power rear-window sunshade, and a heated steering wheel. Front and rear parking sensors, a blind-spot monitoring system with rear cross-traffic alert, lane-departure warning, and a forward-collision warning and mitigation system are among the available safety features. The ES sees several minor updates for 2016; the most noticeable is a bolder version of Lexus’s signature “spindle” grille. Also new are standard LED headlights, a restyled rear fascia, and a new design for the optional 17-inch alloy wheels. The cabin has been freshened with additional soft-touch materials, a new steering wheel, updated smartphone-app connectivity, and new colors and trim combinations. 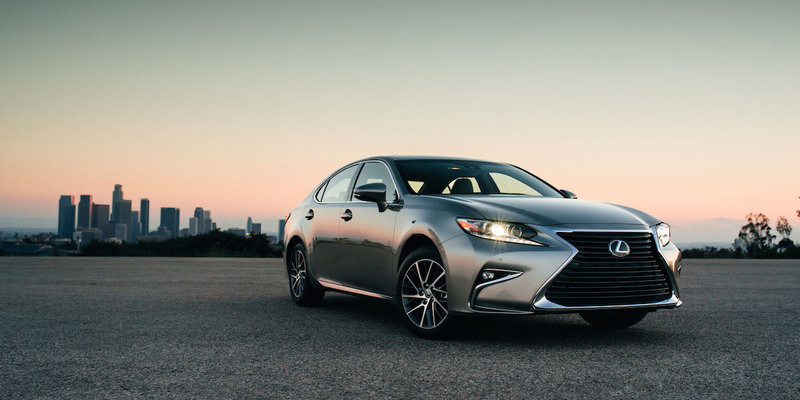 The ES 350 is rated at 21 mpg city/31 highway, and the ES 300h is rated at 40/39. In Consumer Guide® testing, an ES 350 averaged 20.4 mpg, and an ES 300h averaged 43.3; both tests consisted of mostly city driving. 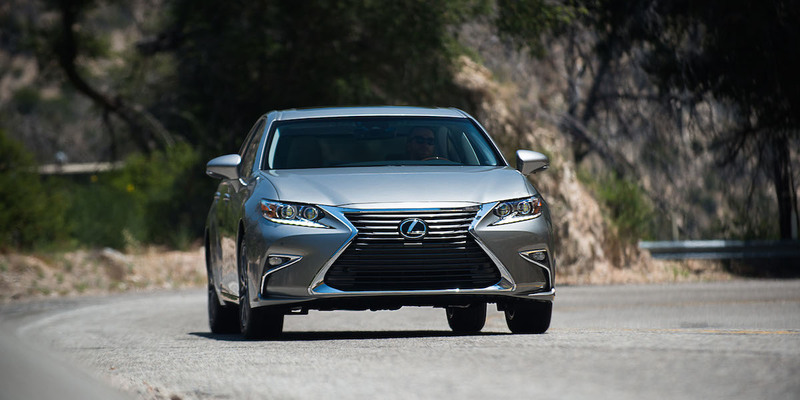 Despite its more aggressive look for 2016, the Lexus ES is one of the cushiest, most comfortable vehicles in its class. If you’re more interested in serene cruising than carving corners or making a radical statement, an ES should be right up your alley. 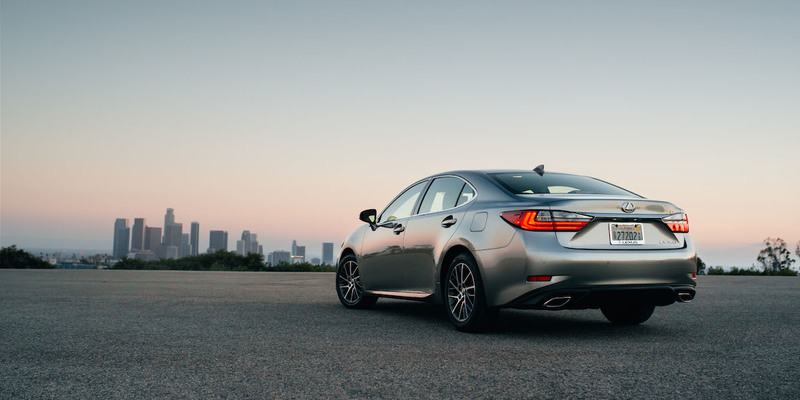 Shoppers looking for a green luxury vehicle are well served by the ES lineup as well—the ES 300h delivers outstanding-for-the-class fuel economy with little compromise in overall refinement.